Thanks for getting us back up and running ASAP. Makes software development much more efficient when ..
Service was great. Axonware contacted Graphisoft subsidiary main office in UK, and I was up in runni.. I moved to a new job in summer of 2017 and was very nervous that the company did not use AutoCad. I ..
Archicad is a substantial and well developed BIM package. All the time spent learning the package pr.. 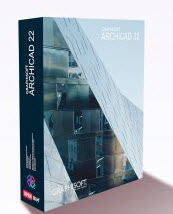 I used Archicad 18 as a student and found it easy to work with, full of detail, a good library and n..
V.Good software Still getting to grips with it. Used Archicad for my dissertation. In the process of completing this I constructed a model from one ..
Archicad was very useful and somewhat of a challenge to operate , not being a designer but a manager..
I’m a student studying architectural technology and design, while ArchiCAD was complex to understand..